Suspected mob hit man Anthony Nicodemo is sitting in a city prison awaiting a preliminary hearing in a homicide case that could have a dramatic impact on the Philadelphia mob. Since his arrest on Dec. 12, underworld and law enforcement sources have been speculating on whether the 41-year-old South Philadelphia wiseguy would become a government cooperator in order to get out from under the charges he faces. That speculation has created an undercurrent in the ongoing racketeering trial of mob boss Joseph "Uncle Joe" Ligambi and six co-defendants. Ironically, the trial ended Monday with Nicodemo's name being mentioned by a federal prosecutor and defense attorneys crying foul. "To highlight it now is unduly prejudicial," Paul Hetznecker Jr., the lawyer for co-defendant George Borgesi, said of the reference to Nicodemo made by Assistant U.S. Attorney John Han in a closing rebuttal argument to the jury late Monday afternoon. Jury deliberations are expected to begin Tuesday in the racketeering conspiracy case against Ligambi, Borgesi and several other reputed mob figures. Hetznecker's comment came during a sidebar conference between lawyers and Judge Eduardo Robreno at the conclusion of Monday's court session. Hetznecker was upset that Han, in his closing, had alluded to an assault in 1998 that allegedly was ordered by Borgesi. Key government witness Louis Monacello testified that he took part in the assault along with co-defendant Anthony Staino and several others, including Nicodemo. Han argued at the sidebar conference that the reference to Nicodemo was already on the court record and he was merely reiterating facts that the jury had already heard. There was no mention of Nicodemo's arrest in the murder case. Monacello testified about the assault several weeks before Nicodemo was charged with the slaying of Gino DiPietro, 50, in South Philadelphia. Law enforcement sources have said that the murder may have been carried out because DiPietro, who has a history of drug convictions, was cooperating with law enforcement. Nicodemo's car, an SUV, was spotted fleeing the murder scene. He was arrested at his home a few blocks away less than 30 minutes after the shooting. Sources say police also found the murder weapon in his vehicle. Jurors were questioned about the shooting after it occurred. Nine members of the panel said they had heard or read about the event, but only one said it might impact his ability to be fair and impatrial. That juror was dismissed. Whether mention of Nicodemo's name again would raise questions in jurors' minds was an issue that Hetznecker and other defense attorneys were concerned about after Han had completed his closing. But the long-term impact may go far beyond the current trial. 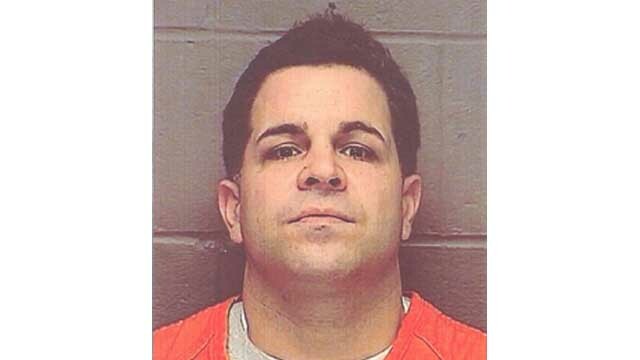 While the motive for the DiPietro shooting has not been established, underworld and law enforcement sources say the bigger issue is the fact that Nicodemo has long been identified as one of the shooters in the 2003 slaying of mobster John "Johnny Gongs" Casasanto. The Casasanto hit is one of three gangland slayings federal authorities believe were ordered by Ligambi. No one has ever been charged. If Nicodemo decided to cut a deal with the government, providing information about the Casasanto murder -- who ordered it and who was involved -- would be a key bargaining chip. Throughout the current trial, defense attorneys have argued that the Ligambi organization was not cut from the same violent cloth as crime families headed by Philadelphia mob bosses like Nicodemo "Little Nicky" Scarfo and John Stanfa. Racketeering trials against those bosses and their associates were full of murder and attempted murder charges. In contrast, the current case is built around gambling, extortion and loansharking allegations. The defense has harped on that fact, claiming that the federal government built a case around unrelated and minor criminal events when it was unable to gather evidence of more serious crimes. Edwin Jacobs Jr., the lawyer for Ligambi, spent nearly three hours in his closing argument Monday making that point. "This is a failed investigation," Jacobs said of the 12-year probe that targeted Ligambi and the others. "It's been on life-support for two years...These investigators didn't find what they were looking for ... so they made any charges they could think of without regard for the evidence." "We are not who they say we are," Jacobs said several times as he systematically disassembled the government's case, contending that the charges of gambling, extortion and the distribution of illegal video poker machines were never part of a broad conspiracy or criminal enterprise. At best, he and other defense attorneys have argued, the govenment evidence might indicate individuals acting on their own to line their own pockets. But Jacobs said none of the evidence passed the threshold of "beyond a resonable doubt." He asked the jury to find Ligambi and the others not guilty. He also argued that the government's case was based on lies and fabrications from witnesses like Monacello. "These criminals are using the FBI ... they're gaming the FBI," he said of deals that Monacello and several other cooperating witnesses had struck with authorities. "And we're paying the price." He described the charges in the case as "street corner stuff" and said the names of both Ligambi and Borgesi "were used" by witnesses to enhance their credibility on the street and to win deals once they had been arrested or targeted by the FBI. "These are not truthful people," he said. "They're twisting the facts and they're making up stories." But in his rebutall closing argument, Han played a series of tapes made during the investigation, which began in 1999 and concluded with the indictment of Ligambi and the others in May 2011. On those tapes, which had been played previously, jurors heard several of the defendants discussing bookmaking, gambling and loansharking operations; threatening to "crack" heads, and identifying Ligambi as the leader of the enterprise. On one, co-defendant Gary Battaglini tells an associate, "Uncle Joe (Ligambi) don't care about excuses. He wants his end every week." On another Damion Canalichio tells an undercover FBI agent posing as a gambler, "I'm mostly into collections." Han said that was Canalichio's role in the mob gambling enterprise. The reference to Nicodemo came during a discussion of Monacello's testimony. From the witness stand, Monacello had alleged that he ran a bookmaking and loansharking operation for Borgesi after Borgesi was jailed in an unrelated racketeering case in 2000. Monacello's testimony is considered crucial to the case against Borgesi and his credibility has been attacked repeatedly by Hetznecker, Jacobs and the other defense attorneys. The assault that Han referred to was one of several acts of violence not charged in the case but that Robreno ruled were admissible to show Borgesi's criminal character. In that regard, Han again played for the jury a snippet of a phone call from 1999 in which Borgesi cackled and joked about how he had brutally beaten up mob associate Angelo Lutz. That tape was played earlier in the current trial and was also played at Borgesi's prior racketeering case. Hetznecker has argued that his client has already paid a price for his prior bad acts -- Borgesi was finishing up a 14-year sentence and was about to be released when he was indicted in the current case. But prosecutors contend that the tape is a "self protrait" that paints a picture for the jury of who Borgesi is. "It's not a pretty picture," one source said.